April 22, 1971 – The Chicago Tribune learns that the Atcheson, Topeka and Santa Fe Railroad’s passenger trains will be moved to Union Station, making it certain that the Dearborn Street station will be closed. Signs are already posted at Dearborn station, notifying passengers that service will be discontinued on April 30. The passenger operations of the the Atcheson, Topeka and Santa Fe have been taken over by Amtrak and one of the government agency’s principal goals is to consolidate terminals in Chicago since they eat so much of the operating costs of passenger trains. 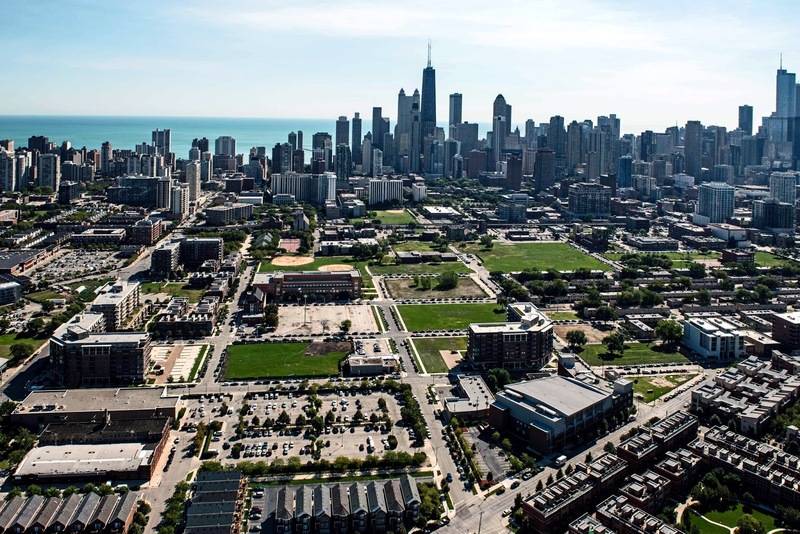 Chicago’s commuter trains will maintain their present distribution across several stations on the periphery of downtown. Consolidation of these trains would add as much as 30 minutes to some routes, defeating the purpose of paying for a 30-minute train ride from the suburbs to the city. 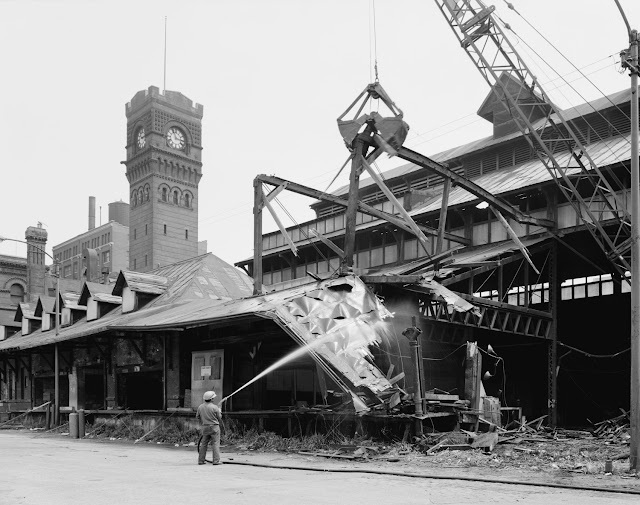 The photo above shows the 1976 demolition of the train sheds that lay south of the station. April 22, 1862 -- The Chicago Tribune reports that one Frederick Boetiger has filed a grievance with the Chicago Common Council that will be referred to the Finance Committee for a determination of damages. It seems that Boetiger had attempted to make his way into the city by way of Division Street, using "all due care and diligence in traversing the same". However, the street was in such bad condition that his horse became "stalled in the mud of the said street and smothered to death within the city limits." Boetiger sought compensation for his lost animal. The street on the far left of the photo above is the same street poor Mr. Boetiger got stuck on back in 1862.